Apps » AN ANTITHETICAL TAKE ON E-MAIL: “INBOX” ON THE REALM, FROM GOOGLE. New challenges evolve as the evolution happens. E-mail was something that connects people via the global arena, officially and later in personal. Google introduced G-mail as a different experience with E-mail apart from others. Years in making, Google introduces something new, fresh and antithetical from G-mail. 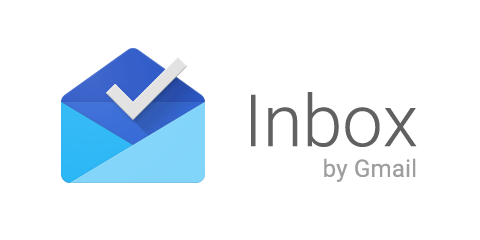 Google unveiled a new E-mail app for iOS, Android and Desktop Web Browsers, named “Inbox”. E-mail became overwhelming and as everything undergone a dynamic change, it also has become a daily routine. The overloaded inboxes affected the user to distinguish mails that are important for him/her. For this, about from last year Google found a solution in arranging Primary, Social and Promotional sections within the E-mail. Yet the solution was not as dependable, as one’s connections and needs get augmented as days elapsed. As far as “Inbox” is concerned, it is more a graphical, organized communication centre via E-mail. More accuracy is what differentiates “Inbox” from Gmail. Inbox amplifies upon the categories that were introduced in Gmail last year. Grouping together of necessary mails regarding purchase, official encounters, documents in a neat way can ease one’s reading process. It also helps in the quick reviewing and swiping away unimportant mails. One can teach “Inbox” to adapt according to the way she/he works by choosing the needed mails and their grouping. It highlights the required key information even photos from the messages. It also displays apt information from the web that wasn’t in the original E-mail. Thus it highlights important information at a glance. Priorities of the user, matters the new “Inbox”. It lets the user to add Reminders, Assists and Snooze. It acts as a centralized place to set one’s things and keep a track on things needed to get back to. It provides Assists to handy pieces of information. It also lets to snooze away E-mails and Reminders by setting them so as to come back at another time. Getting started with “Inbox” involves an invitation process. The easiest and fastest way to get “Inbox” is from a friend who already updated with the app or one can send a direct mail to inbox@google.com. As mentioned it is currently available on Android phones (4.1 and up), iPhones (iOs 7 and up) and chrome browser on a desktop /computers. If you are getting the app from your friend it will be accessible as soon as you download it on your phone. On the other hand Gmail Team will provide an invite via an E-mail if you contact them for the same. After downloading the app sign in using the account that was invited. After signing in on your mobile, you can use it on your computer. Then go to inbox.google.com using Google. The newly announced “Inbox” is thus worth a spin. It is as claimed a better way to get back to what matters.